Documentaries are fascinating and capture the brilliance of humanity when executed thoroughly. Every director and producer has his or her own routine of writing a documentary script, which can be very liberating to those who are starting out. Depending on the subject of the documentary, the schedule can be incredibly pressing, which means that having a system in place prior to embarking on a new documentary project can be quite rewarding. And don’t forget to check out NYFA’s documentary filmmaking programs to find the best hands-on, intensive program for you. Before a script can even be written, you need a clear, precise, and short pitch. This pitch should be no longer than 5 pages because producers and executive producers are busy. They want to know that what you are offering is of quality and can be green lit. Funding can be one of the hardest parts of the documentary business. Nowadays with technology, we can do a lot on a budget. However, you do want a quality feature-length budget that adequately fits your needs. This on the low end can amount to about $300,000. Find someone who shares your vision. This can be an individual with capital, a nonprofit organization, or even a network. What’s important to your funders is what will they get out of it? This can include recognition, promoting their cause, money, etc. This is the time to organize and plan how the story will be transmitted to your audience. The outlined story is detailed in regards to how the film will play out. When you have this outline clear in your head, shooting the frame is much easier because you already know what you want. Some ways to organize is breaking down the outline into acts and having a topic for each one. Each of those acts culminate in the overall message that you are trying to convey. There may be some tweaking along the way, but the plan is there as a guide. You must work backwards. 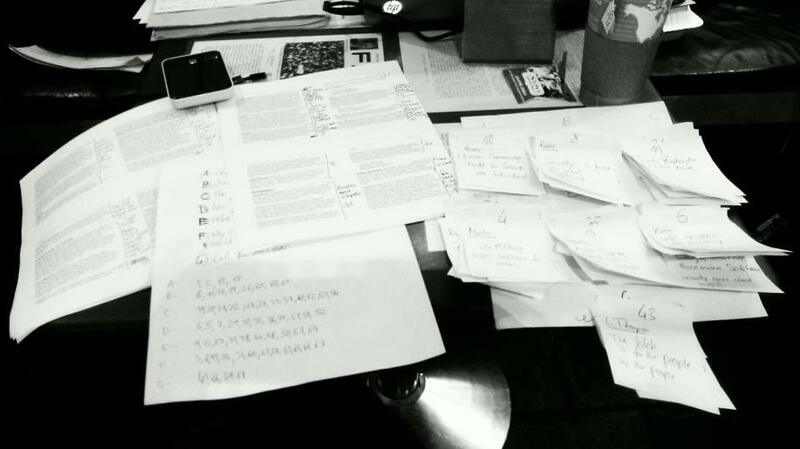 It is the only way to write a documentary script. Once you have collected your research, data, and interviews, only then can you write the script. It would be impossible to conceive what an interviewee is going to say and how that ties into your message. Once you have all of the facts and materials, then you can sit down and write the script and voice-overs. Viewers want to connect with your project. Find compelling personal stories that will enthrall viewers. Emotionally, your viewers will open up and understand the complexity of the issue while making the issue entirely relatable. Every viewer wants to be transported somewhere else, learn something new, and then be motivated and moved by this information. Presenting the facts and reality isn’t always clean cut and unbiased. That isn’t to say that directors and producers spin a project a certain way but there is information that stays in a documentary and information that is cut. So what is it that you want your documentary to transmit? You will find that when you have this message, putting the entire script and production together is much easier and it is clearer to the audience regardless of whether or not they agree. They can still connect because of the clarity of the message. At the very least, the audience is given something to think about moving forward. As a director/writer/producer, you can be flexible and allow your story to unfold even if it’s not in the precise direction that you thought it would go. Be thorough with your writing and voice-overs. Writing and rewriting parts of the script is part of the process as you continue to define your message and refine the story. 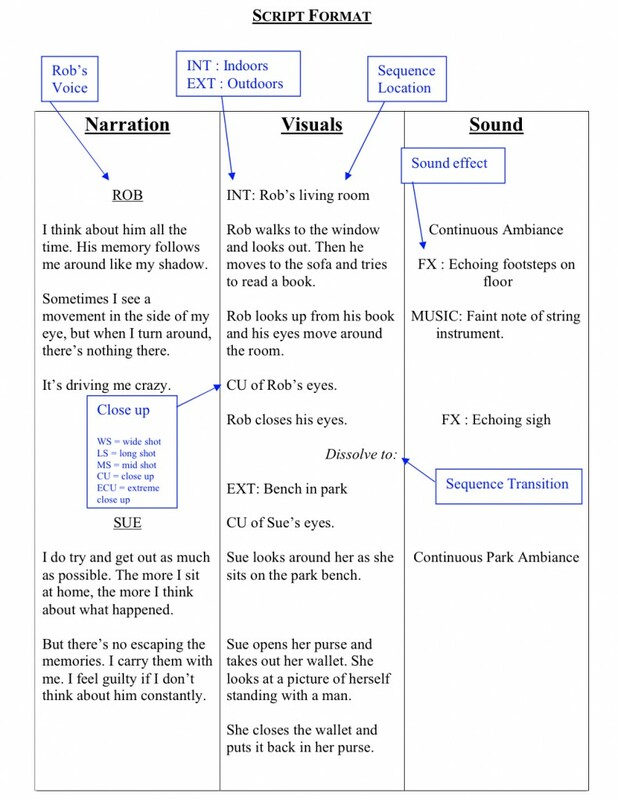 If you are using a narrator, you may have to readjust to your narrator’s style. Sometimes while you are fact checking, there may be some discrepancies so you want to make there that everything that you are presenting to the viewer is accurate and this is reflected in the rewriting process. Documentaries aren’t an observation of humanity, but rather an opening door into our nature, into what drives us, what makes us fill with joy and weep with sorrow. Documentaries are real, with real people and dealing with real issues that are powerful and hit us at our core. Let your writing reflect those deep, moving messages and capture your audience emotionally. Interested in learning more about the craft of creating excellent documentaries? Check out NYFA’s documentary filmmaking programs to find the best hands-on, intensive program for you.